Looking for the best escapade yet?A Caribbean yacht vacation can exactly be what you’re looking for. With the help of Nicholson Yacht Charter & Services, your Carribean yacht vacation will be the most amazing trip, ever. The Caribbean is filled with beauty and pristine shores that you’ll surely be delighted to behold. Choose from Nicholson’s catamaran sailing charters, build your own itinerary for an amazing vacation and you’ll get the vacation that’s just perfect for you and your loved ones be it just for a few days or for a week. The Caribbean is a perfect place for a getaway especially if it’s your first time to cruise. The Virgin Islands offers a bountiful of beauty and adventure. Here are just some of the many reasons why a vacation at a Caribbean yacht is just fantastic. St. Thomas Island – Discover the most cosmopolitan island that still exudes the secluded, paradise-like location that you’ll surely fall in love with. Home to a handful of historic places of worship, St.Thomas is a great destination for those who are sailing in a Caribbean yacht for a wedding. 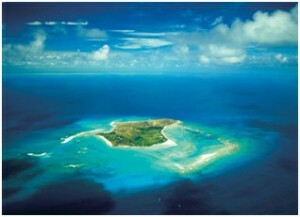 Some of the most amazing bays and beach resorts are found on St. Thomas Island. St. John Island–By far, it is the smallest island in the US Virgin Islands but it has never lost its appeal as one of the most untouched and unspoiled among them all. Although 60% of the island is a fantastic national park, you are just a minute or two from upscale shops and boutiques. TheAnnaberg Sugar Plantation is available for different types of events such as concerts or just about any special occasion. St. Croix–This is the largest island by far in the US Virgin Islands. Those who just got off from a wedding can definitely enjoy spending their honeymoon here in St. Croix. Your Caribbean yacht vacation would never be complete withoutseeing the most magnanimous beaches and recreational spots that you will surely enjoy. The best part of your vacation in a Caribbean yacht is that you get to choose your activities in all of the days of your vacation. Both land and water activities await you in the Caribbean. From cultural explorations to eco adventures; to water activities likewater polo, sport-fishing, diving, island tours, day sails, boat charters, kayaking, kite surfing and wave runners. Be captivated by the exotic locations, clear blue water, flora, fauna and sea animals that live secluded in the islands of the Caribbean. Getting a rental is not a problem with Nicholson Yacht Charter & Services. With us, your meals are served hot and freshly prepared by some of the most world-class chefs on board. The crew members and captain are all certified and well-experienced that’s why our passengers have peace of mind every time they choose Nicholson Yacht Charter & Services for their Caribbean yacht vacation. For your next adventure, choose Nicholson Yacht Charter & Services and you’ll be assured that your Caribbean yacht vacation would simply be the best.